Research found that many Filipinos remain unhealthy by choice. Filipinos’ level of health awareness continues to increase, but most of them still don’t live healthier lifestyles. This is based on the key findings of a research commissioned by insurance firm Sun Life of Canada (Philippines). 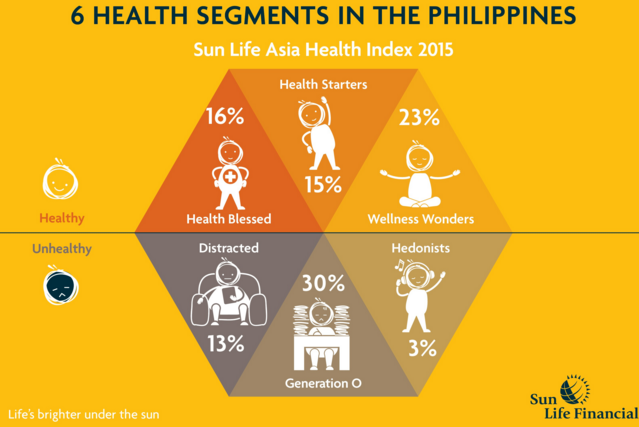 From the data of Sun Life Asia Health Index 2015, the number of Filipinos who look at health as an important concern for them rose from 71% in 2014 to 89% in 2015. Up to 97% of the 700 survey respondents in the country ranked personal health as among their top priorities in life. However, 46% of the same respondents admit that they are living unhealthy lifestyles. Over half (59%) of the respondents don’t exercise regularly, while 46% don’t get enough sleep daily and 41% are eating unhealthy. When asked to identify the main barriers that prevent them from living a healthy and active lifestyle, the subjects cited lack of time due to busy schedule (30%), lack of time due to family responsibilities (17%), lack of personal motivation (15%), presence of distractions (13%), and high costs of living healthy (12%), among others. More interestingly, more people in the country (56%) admit that they prefer to rest on the couch than to do physical activities or exercise routines. 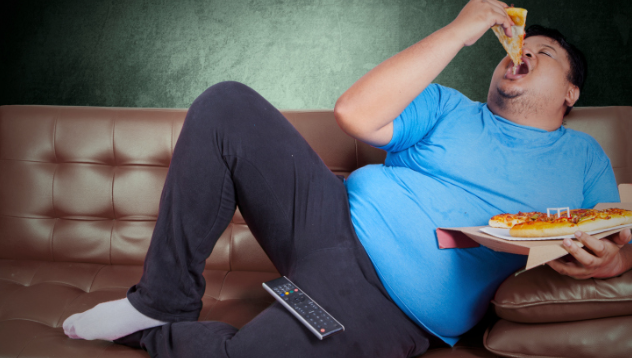 Except for Hong Kong, where 58% of people prefer to be sedentary (and Indonesia which tied with the country at 56%), the number of couch potatoes in the Philippines is higher compared to those in other countries in East Asia. Furthermore, 97% of Filipino respondents claim that they know how to improve their health; 93% say they are doing all they can to boost their health; and 96% disclose that they are encouraging and supporting their family to live healthy. But still, based on facts, excessive weight, obesity and respiratory conditions remain as the top three health problems that they have personally experienced. Diabetes and heart disease top the health problems experienced by their family members; which still point to the gap between awareness and action. Related article: Are Filipinos ready to fund medical emergency? Sun Life Asia Health Index 2015 also identified six distinct segments of attitude of people toward personal health in the country. This segment comprises of people who are healthy without needing to make additional effort. For them, personal health is important. They also think and feel that they have extremely good emotional or overall health. These people are healthy but they still think that they need to make effort to remain so. They focus on an area for health improvement, which can be exercise, diet, relaxation, or meditation. Those who belong to this segment are characterized by being determined to make efforts to remain healthy. They do multiple things to achieve ideal health like exercising regularly, having balanced diet, and spending time for relaxation or meditation. 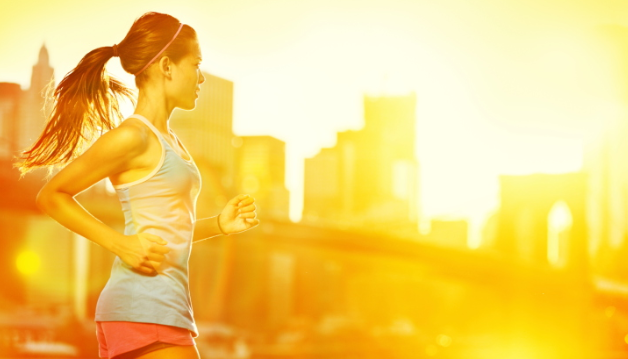 People who belong to this segment generally think that personal health is extremely important. However, they feel that they are unhealthy. For them, the barriers to living healthy include lack of time due to work and family affairs, lack of sufficient facilities, high costs, and/or disease problems. Just like Generation O, these people think personal health is extremely important but they feel unhealthy. For them, the major barriers to healthy living are lack of motivation and/or presence of distractions. These people claim that they enjoy life more than the others. However, they are unhealthy and think personal health is not that important. Aside from those key findings, Sun Life Asia Health Index 2015 also emphasized that Filipinos rank highest in the region for having family history of serious or chronic health issues. This is why many experts think there is a significant need in the country for pioneering solutions that could help people break away from bad health habits and shift to new and healthier ones. “We are committed to creating such immediate opportunities for everyone—employees, agents, clients, and their families—to do just that alongside us at Sun Life,” Mantaring said. That explains why the company is also identified for organizing and sponsoring community sporting events, like the annual SunPiology Run, which is set this year on November 28. The index is patterned after the Sun Life Canadian Health Index, which basically provides a snapshot of peoples’ attitudes, perceptions, and behaviors related to their health, lifestyle, priorities, access to healthcare, and personal finances. On its second year (2015), the Asia Health Index covered nine markets in the East Asia region: the Philippines, China, Hong Kong, Singapore, Malaysia, India, Indonesia, Vietnam, and Thailand. This year, the index was based on findings of an online poll conducted by global market research firm Ipsos from July 14 to August 3. The study involved 4,429 respondents from the middle class segment, aged 25 years old to 60 years old. As mentioned, 700 of those subjects came from various parts of the Philippines.